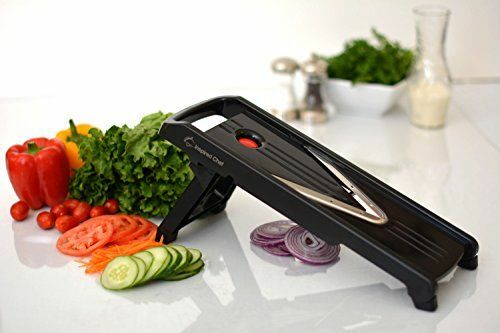 Despite the fact that they are very versatile, the main reason why people purchase mandoline slicers is that they make cooking easier. Having one of these appliances also adds a modern touch to your kitchen and allows you to prepare stunning meals for your family. In this article, we will discuss the benefits of having one and how to dress up your dishes with a mandoline slicer on a daily basis. There are thousands of different appliances that you can have in your kitchen, so choosing the right ones for your case requires a lot of thought. Mandolines are a classic example of a versatile appliance that can completely change the way you cook all your meals. 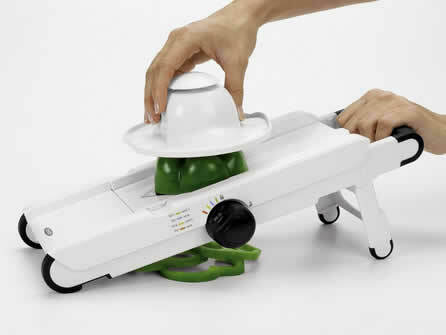 As we mentioned before, the main reason why mandoline slicers are popular is that they can help prepare meals faster. Almost all foods require chopping, cutting, or dicing, and a slicer can help carry out these tasks quickly and easily. The best part about mandolines is that they can help without adding an additional chore. They tend to be extremely easy to use and most modern models are dishwasher-friendly as well. Presenting a meal with perfectly sliced vegetables gives it a professional finish that makes it a bit more special. But, cutting vegetables and other ingredients in the same size can also help them cook evenly, thus decreasing cooking time while increasing energy efficiency. Perfectly cut ingredients can make stews, casseroles, and stir-fries visually appealing, delivering amazing taste in a beautifully presented plate. These appliances can also give french fries and other unflattering foods an appearance worthy of a celebrity cooking show! Because we live in an appearance-driven society, the visual appeal of foods is becoming more important than ever before. 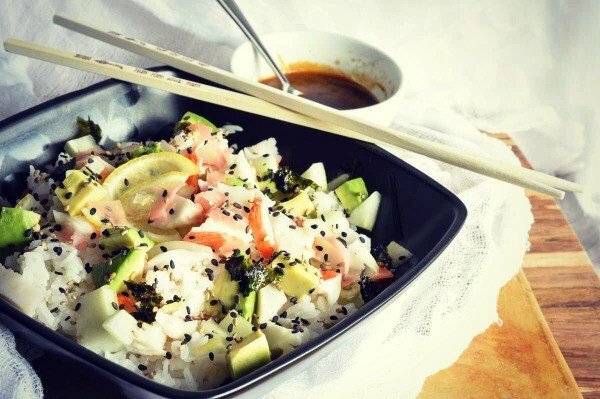 Cooking a healthy, good-looking meal for your friends and family is bound to help them enjoy your cooking even more. By using a mandoline slicer, you can finally debunk the myth that health and quality don’t mix with quantity and taste, by providing hefty portions that look amazing every single time. 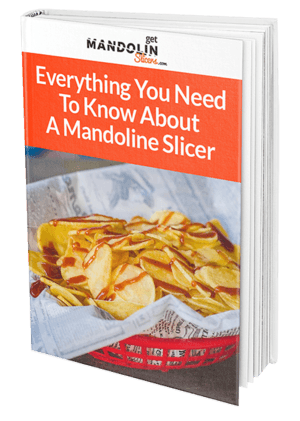 The most commonly used feature of mandoline slicers is the even cut. Although they vary in thickness, even cuts can be used on a variety of ingredients that range from roots to cold meats and cheeses. They can be used to create layered effects and to help classic meals such as tartiflettes and gratins cook evenly throughout. Crinkle blades and the shape they give to your food may be considered the poster children of mandolines. This iconic shape can help jazz up your meal and deliver an outstanding result that looks great and taste even better. Not only this, but ingredients can be chopped up or diced after they have been sliced with a crinkle blade to give the same effect when cooking stews and soups as well. If you want to make your meal an assortment of textures and colors, you can always combine even cuts with crinkles and deliver a great consortium of shapes that nourish and entertain at the same time. Potatoes stand out as the most versatile ingredient when it comes to mandolines. Likewise, most root vegetables offer a flexible option, get inspired and add a touch of creativity to old and new dishes alike. Combining mandoline slicer and root vegetables can provide an awesome alternative for a quick snack, entrees, or canapes for your friends and family, so don’t be afraid to experiment and find the recipe that works best for you. 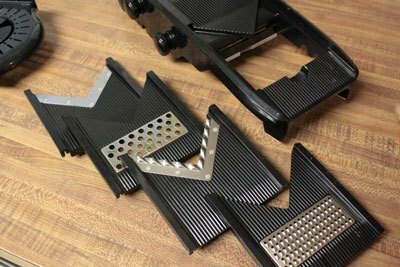 Depending on the brand and model of your mandoline slicer, you may be able to choose from a vast array of blades that provide different cuts and styles. These can be used to shred, slice, and cut ingredients in a variety of sizes that range from very thin slithers to thick strips. Keep in mind that not all slicers can be equipped with additional blades and other add-ons. If you are not sure if your mandoline can support attachments or additional blades, contact the manufacturer or refer to your instruction manual. In a world where visual presentation is almost as important as the quality of our food, a mandoline slicer can provide a solution to reduce prep time and enhance visual appeal at the same time.